Sony’s high-def Blu-ray Disc format reached 1000 titles last week, with 841 titles now available and 185 scheduled for future release. The average price of a Blu-ray Disc on Amazon.com currently stands at $23, which has been gradually going down over the last 30 days. Blu-ray players are also dropping in price, with major retailers offering players for less than $230. 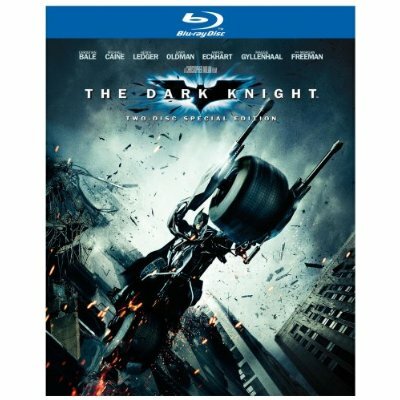 The best selling Blu-ray title right now is The Dark Knight (+ Digital Copy and BD Live) available for pre-order at $24.95. It is followed by Journey to the Center of the Earth (2-D and Limited-Edition 3-D) which is also selling for $24.95. Coming in third and fourth in top sales are Incredible Hulk ($23.95) and Iron Man ($25.95). Do we see a pattern here? With the exception of Journey to the Center of the Earth top selling discs all come from comic book origins. In contrast, the best selling DVD on Amazon is currently Tinker Bell, followed by Journey to the Center of the Earth and Sleeping Beauty (Two-Disc Platinum Edition). Not only is Disney leading top selling DVDs, they also announced an upcoming Blu-ray Disc. A 70th Anniversary Platinum Edition of “Pinocchio” is scheduled for release March 10, 2008.